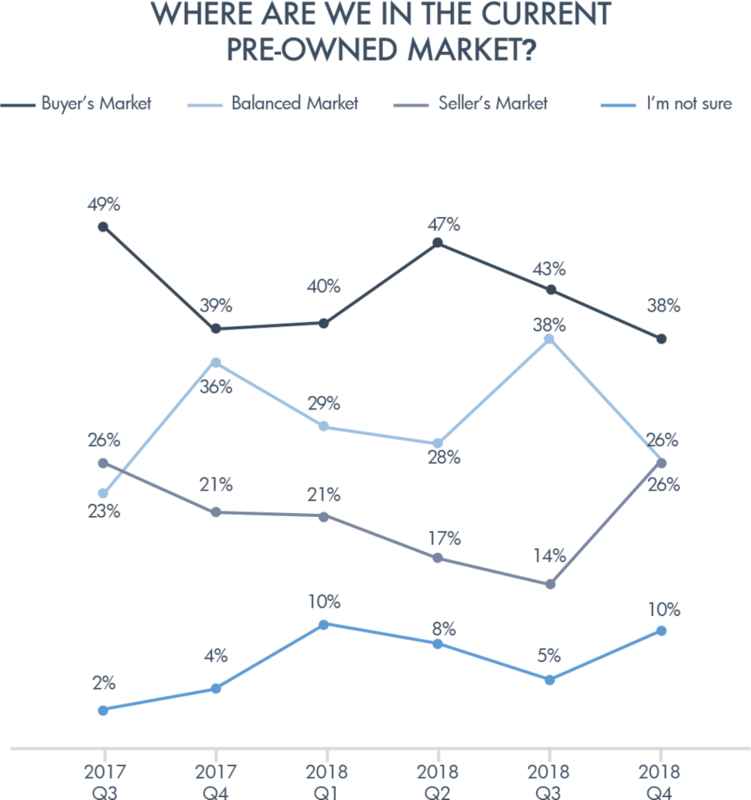 Regarding the current pre-owned market, 38% of respondents believed that the current market is still in a ‘Buyer’s Market’ with low demand and high supply. 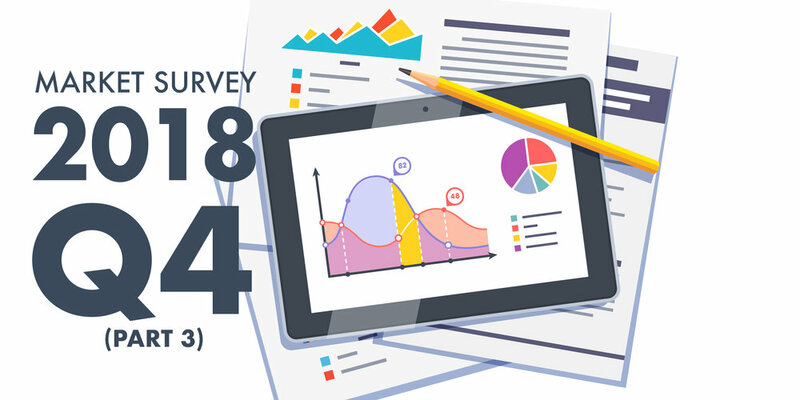 Over the past five quarters of surveys, there has been an increasing trend of respondents believing that the market is moving away from a ‘Buyer’s Market’. 26% (38% last quarter) of respondents believed that we are now in a balanced market with equal demand and supply; a 12% decrease compared with last quarter. The remaining 26% believed that we have moved into a ‘Seller’s Market’, with higher demand on the market. Based on the Market Dynamic analysis from ASG’s research department, ASG now believes the pre-owned business jet market has entered a balanced market. Notably, the pre-owned market for the large and long range business jet markets have improved. For details, please go to the Market Dynamics, and Market Summary section of this issue of ASQ. Regarding the purchase intentions of 2018 Q4, ASG noticed that the demand for both new aircraft and pre-owned aircraft together represent 59% of the respondents who now have the intention of buying an aircraft. * Since 2017 Q3’s market survey, a new method was applied filtering out those respondents who are not relevant to this question, hence reflecting a percentage drop in the category “No / I’m not sure”. 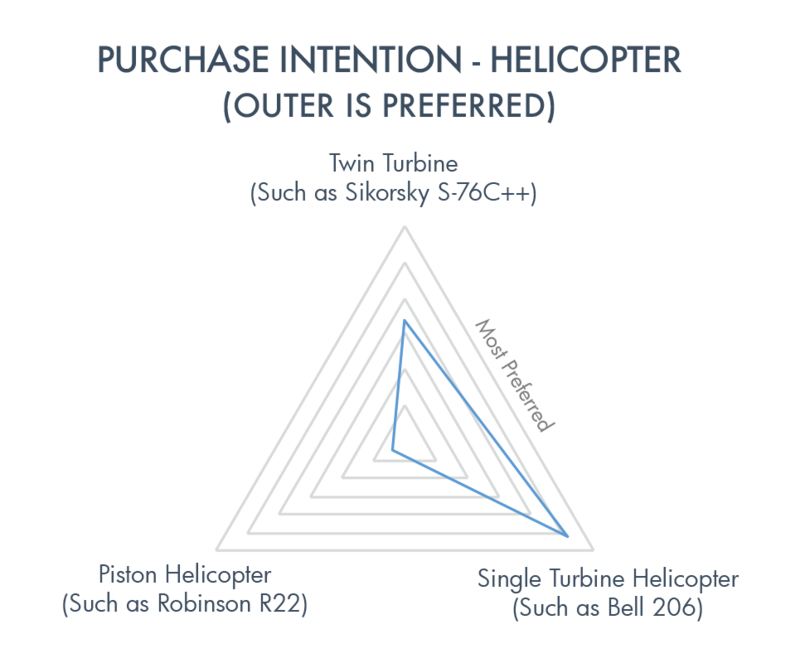 Purchase intention by region is shown in a graph to understand regional differences for fixed-wing aircraft. Greater China has a significantly higher need for large jets, while turboprops and small jets are more suitable for Oceania. Corporate airliners are commonly needed (13-30%) all areas except Oceania. Additionally, the medium and small jet categories are wanted, but on a relatively lower level.